Do you like dogs? My kids do! They're just so irresistible! With all the dogs we are seeing around the estate, I decided to make DOGS BREED LETTERS AND NUMBER CARDS to all dog lovers out there. These are the cutest! I hope your kids and students will enjoy the cards as much as we do! We love telling and hearing Bible stories at home! Especially in this season of Lent and as preparation for the upcoming Easter celebration. I created this fun and engaging activities for my boys who love to tinker and do creative stuff with some of our manipulatives. They would often work on these on weekend mornings during our quiet time or on weeknights before dinner. Featuring our activities and learning materials for March. Rotation of activities would usually take about 3-4 weeks now because Vito would mostly be spending time outdoors, now that the weather is starting to get warmer. Feel free to copy these ideas into your hold and in your classroom. Details and links to materials used are also provided, and if you have further questions, just leave it in the comment section below. We are learning about frogs and we started our unit by learning about the body parts because Vito wanted to know if they are similar to his (to humans). Again, our Parts of a Frog Learning Pack came in handy in exploring the body parts of a frog and the activity sheets I included in the pack were really helpful in extending the learning activity for enhancing the retention of concepts. 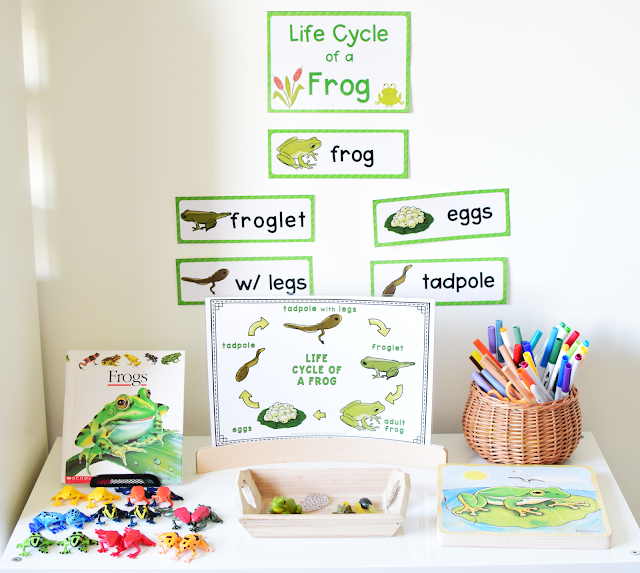 If you are a homeschooler or a teacher looking for learning materials about frogs, then continue reading this post to learn more about this learning material and the activities that we did using it! The cards are simple and clear and are easy for young learners to use. 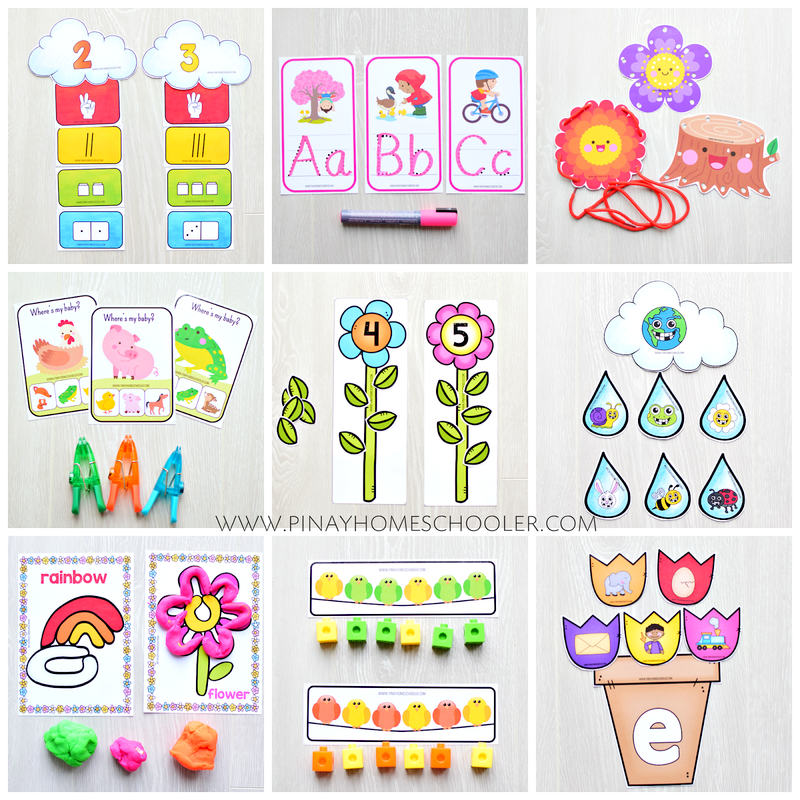 The activity sheets are provided as I have observed through the years that these materials for tracing, coloring, and making booklets are effective in engaging young learners. Because we are excited to celebrate St. Patrick's Day, I published these beautiful letter and number cards in the shop which you can now enjoy! These are perfect for your St. Patrick's Day themed homeschool and classroom literacy and math centers, for preschool, prek and kindergarten. Today I'm sharing our collection of St. Patrick's Day math activities that you can try with your kids in school or in a homeschool setting. Aside from learning how to recognize numbers, how to count, and 1:1 correspondence, your child will get to enhance their fine motor skills with these fun and engaging math printable materials! We love our building blocks printables! They're so engaging that even my eldest is playing along with us. I mean, who doesn't like these LEGO blocks or bricks? We have collected a bunch of LEGOs and other LEGO compatible blocks through the years and they have come into full use once again. And Vito is totally into it. With the success of our Pattern Blocks Spin and Build, I didn't hesitate making another series of Spin and Build and this time it's using building blocks, or LEGO blocks! Everyone loves LEGO and this is just a perfect extension work and play for creating 2D pictures using LEGO compatible blocks and mats or plates. I’m back after a few weeks of hiatus! I’ve been focusing more in our homeschool that I didn’t have time to write a post about our activities for the past 2 weeks. Anyway, here’s the shelf that I've setup weeks ago and the main theme for this setup is “winter”. This year, we’ll be doing small study units for science and culture but we will work our way thoroughly (taking our time) in reading, writing, and math. If you love themed activities, you will surely love these winter counting printable activities we have in the shop. These materials promote hands-on mathematics and enable children to practice writing and do some fine motor skill works. Vito enjoys these “scenic” ten frames as I often call them. Currently, we have 3 different beautiful designs that can go along with any of your winter themes. Here Vito is working on our kids winter themed ten frames. He was disappointed that it didn’t snow here last Christmas so I gave him a few snowy themed activities. There are two types of activities included in our one to ten counting ten frames.